The summer is coming to a close (though someone obviously forgot to tell the weather!) and with that, several exhibitions at the Free Library will soon be winding down. Don’t worry! You’ve still got some time to come check them out, and explore the rest of the library while you’re at it! 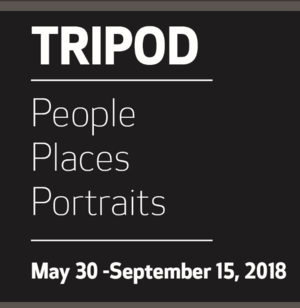 The photography exhibition Tripod: People, Places, Portraits in the Art & Literature Department of the Parkway Central Library is the culmination of a year-long project of Drexel University’s Writers Room and Mighty Writers. During the 2017-2018 school year, six groups of three writers – drawn from the community, Drexel, and local high schools – worked together using photography and writing to tell their stories. The photographs made by the members of Tripod reflect the myriad point of views that comprise this multigenerational group of individuals who call Philadelphia home. Their acute observations of their neighborhoods, filled with textures, memories, and stories evoke a community in constant flux. Their words and images reveal the idiosyncrasies of a changing city. The library has copies of the exhibition’s companion book Anthology 4 available to borrow. Closes September 15. 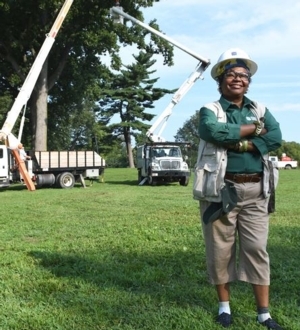 On the second floor of the Parkway Central Library, The Arborists of Philadelphia's Parks & Recreation is currently on display in the Business Resource and Innovation Center (BRIC). While the BRIC primarily serves entrepreneurs, businesses, and nonprofits, it is also the Parkway Central Library's main home for books on science, health, technology, trades, and industrial crafts. Consequently, generations of our city's green thumbs have browsed its shelves for works on botany, ecology, gardening, horticulture, and more. In hosting this photo exhibition, the BRIC celebrates its sister and brother civil servants from Philadelphia Parks & Recreation’s Urban Forestry & Ecosystem Management divisions. Our city's arborists care for the trees on 10,250 acres of park land, and the 117,000 trees along the city streets. These men and women are passionate, hardworking, and proud of the work they do to keep Philadelphia’s trees healthy and its citizens safe. For this project, photographer Sabina Louise Pierce worked with Park & Rec's TreePhilly program to capture the special relationship between arborists, the trees they care for, and the tools of their trade. Closes September 15. 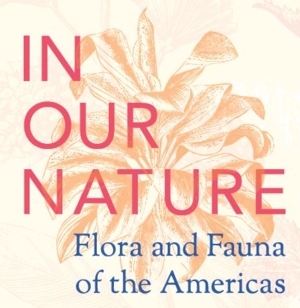 Up in the Rare Book Department on the third floor of Parkway Central Library, In Our Nature: Flora and Fauna of the Americas is occupying the William B. Dietrich Gallery. Focusing on the how human intervention has shaped the ecology of the Western Hemisphere. Through beautiful and interesting prints, paintings, and other images, you’ll see how humans have impacted the natural world for centuries. There are John James Audubon’s famous life-sized plates of birds as well as gorgeous, colorful botanical prints, and artistic renderings of mammals, from whales to big cats, in historical texts. In Our Nature has inspired a plethora of nature-related programs across the Free Library system, which were perfect for the spring and summer months. Closes September 15. 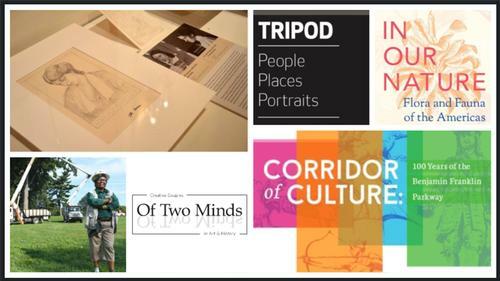 The Rosenbach’s Of Two Minds: Creative Couples in Art and History exhibition will run through October, while library visitors have until November 16 to view Corridor of Culture: 100 Years of the Benjamin Franklin Parkway, on display in the First Floor Gallery West at Parkway Central Library. 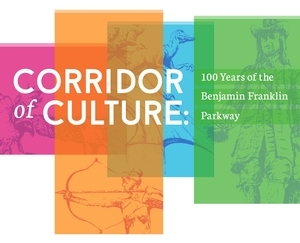 The Free Library has been honored to join up with our Parkway Museums District partners in year-long celebration of the centennial of the Benjamin Franklin Parkway. Stay tuned to freelibrary.org for news about upcoming exhibitions and related programs! You’ve still got some time to come check these exhibitions out! Add a Comment to Visit These Free Library Exhibitions Before It’s Too Late!